There has been quite a gap between this and the last entry, but I'd like to welcome you back to the latest part of a series that I'm calling "God Speaks..."
Over these nine entries, I want to look at some of the ways that God speaks to us (it's not an exhaustive list of course - I'm sure others can add to it!). Because He does speak. All the time. Because God is real, because He loves us and because He is good - He speaks. Usually, it's us (mere people!) that fail to listen or maybe fail to understand that it was God speaking to us. Personally, I've experienced six out of these nine ways listed - and as we go through the series, I'll make these clear how that happened. So, here we go with the next part! 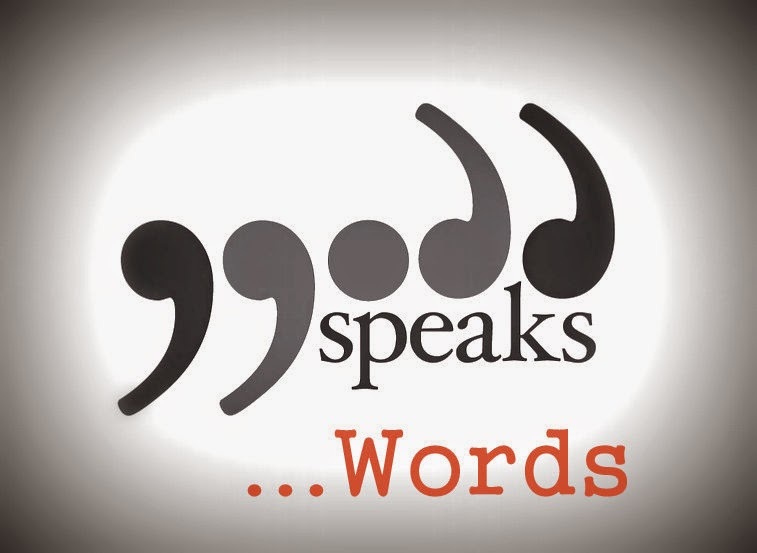 What do I mean by words - of course, we all speak with 'words' - the language might change from country to country, but around the world, people use words to communicate. We've touched on the written word in the last section - the Bible - the inspired, written word of God (inspired through the Holy Spirit, written by people at the time of the events, often eyewitnesses, or soon after the events). We'll cover words through audible means later. In this section I want to look at what the Bible calls words - of knowledge, of wisdom....the list goes on. You see, even in this 21st Century world we live in, God still speaks to us - more so than ever! More people on the planet, means more people who God desires to have relationship with and therefore speak to. This particular way of hearing from God, like all the others, can have a very instant impact. Take a word of knowledge for healing, for example. And this is something I've experienced first hand! The Bible tells us we can do the things Jesus did. It tells us to pray for sick people that they might recover. It also talks about words of knowledge. I've prayed for many people who are sick - I don't know the stats, but I know not all have got better straight away (far from it!). But, I've also prayed for people following a word of knowledge, and in these cases, things work a whole lot differently. People get healed. Why this happens I do not really know. Faith is certainly raised (though really, I guess, it shouldn't be - the Bible tells us sick people got better when Jesus laid hands on them, so really that should be enough). Often, it isn't. But, if I'm in a gathering of people, and God has highlighted something very specific to me (for example, arthritis in the left hip and moving down the left leg), and then someone happens to be there with that exact condition, why wouldn't God heal that person? Does God need to brag that He can revel someones need and leave it at that? Is the faith raised in the sick person because they'd heard their condition mentioned? Does the one praying, who has seen someone respond, feel more confident in their praying? Well to answer these - God doesn't need to brag and yes, faith is raised for sure! The above example actually happened when I visited a church in the Peak District many years ago.....even as I was sharing what God said to me, a lady behind me (she was singing in the worship band) shouted 'yes' with real joy - three people in fact responded to the call for healing from arthritis, though I prayed with just the one person - the 'yes' lady who had been standing behind me. She told me she'd been waiting 17 years for God to give someone a word for healing about this condition - that's a long time of suffering, and why she needed a specific word, I'm not sure. I'm sure she got prayed for regularly, but today, of all days, God had picked her out. And God healed her. The report back that week (I was passed on the news) was that she was totally healed. Praise God! Words aren't always about healing - there are words of prophecy too. These are speaking words over people that release destiny, bring encouragement, emotional healing, love etc. In other words, they build someone up. If you are left discouraged, downtrodden, or beaten up after being told a 'prophetic' word, reject it. Walk away. True, not all words we want to hear, but even challenging words can be brought in the right way - too often, it's just someones own opinion (or frustration!) packaged in 'thus saith the Lord" - oh, and while we are at this, it's YOU that speaks - use normal language, and your normal voice. God, believe it or not, doesn't speak with King James English in the 21st century. Be careful about bringing words regarding the following area, unless you are 'seasoned' in the gift (even then, I'd still say be cautious) and with someone else too: Who someone will, or won't marry. I guess you could add to that births and deaths. There are some who I'm sure can, it's just a difficult thing to bring. God can show the person who they'll marry just as easily as tell a stranger - if we think it relies on our words only, we have a too small of an understanding of our great big God! I've been on the receiving end as well, many times. A key phase for me was between the ages of 17-19. As a 17 year old, I was picked out of a crowd of 2000 people by a gifted and recognised prophet in the UK - Gerald Coutes. He pin pointed some stuff in the present (stuff he couldn't have know but God) and then was very specific about stuff in the future - 17 years from then, in fact. That was for when I was aged 34...(17 plus 17....but you can do the math...) I turned 35 last Monday, so this is all very timely! Flash forward nearly two years - I was now 19 and at my first Stoneleigh Bible Week, in the summer of 1999 (there were to be two further years before the two week event, which drew 25,000 each week, was finished in 2001). I was in a 'seminar' with the theme being the supernatural. A man named Andrew Davies (he would have been much younger than I am now, thinking about it!) was leading the meeting - and in a time of praying for people to step out in the gifting, shortly before I brought my first ever word over someone else, he came over to me. He referred to the word from two years before (again, only God could have told him this - he'd never met me before, knew nothing of my history) and whilst affirming it, said God wanted me released in the here and now. Wow. I guess the last 13 years have been one adventure after another! God speaks. He wants to speak to you, to speak destiny, to show you his love and compassion. He's desperate to speak to you, and for you to know him more. Yes, people can misuse this gift, or make things up completely. Let's not make the mistake of neglecting it altogether because of the potential danger, when the potential blessing goes way beyond anything this world has to offer. Why not ask God to speak to you for someone else today - listen to what he would have you encourage them with and then go tell them!